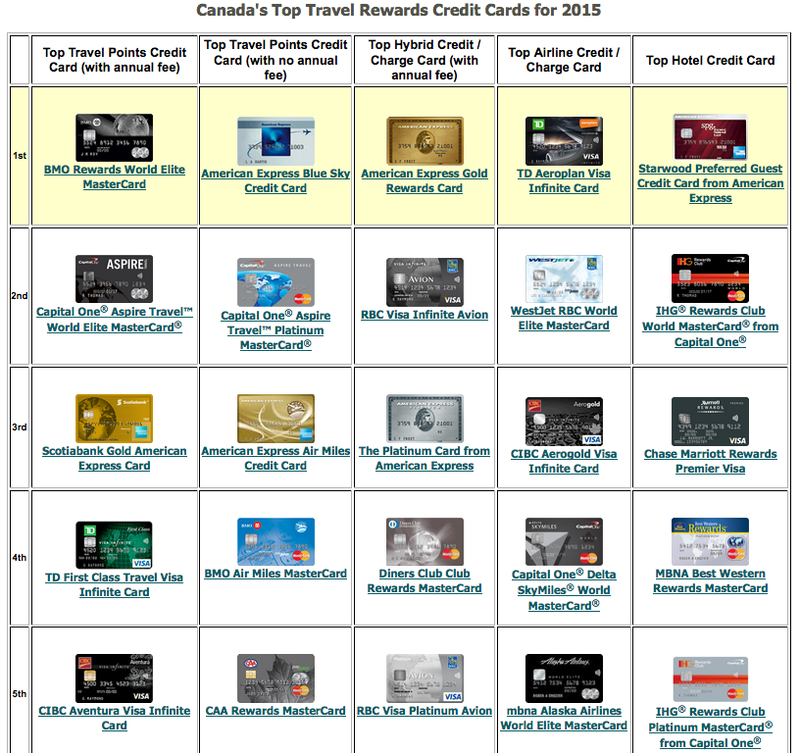 Today on RewardsCanada.ca we posted our seventh annual picks for Canada's top travel rewards credit cards. We have combed over 80 different credit cards offering travel rewards for Canadians and of those there are a few that really stand out. While it is practically impossible to give this question a perfect one card answer, we can breakdown the market of Canadian Travel Rewards credit cards into five major categories that these cards fall into. Visit rewardscanada.ca/topcc2015 for the complete details! For the complete article, details on each card plus runners up in each category please visit the full Canada's Top Travel Rewards Credit Card for 2015 page on the Rewards Canada website.